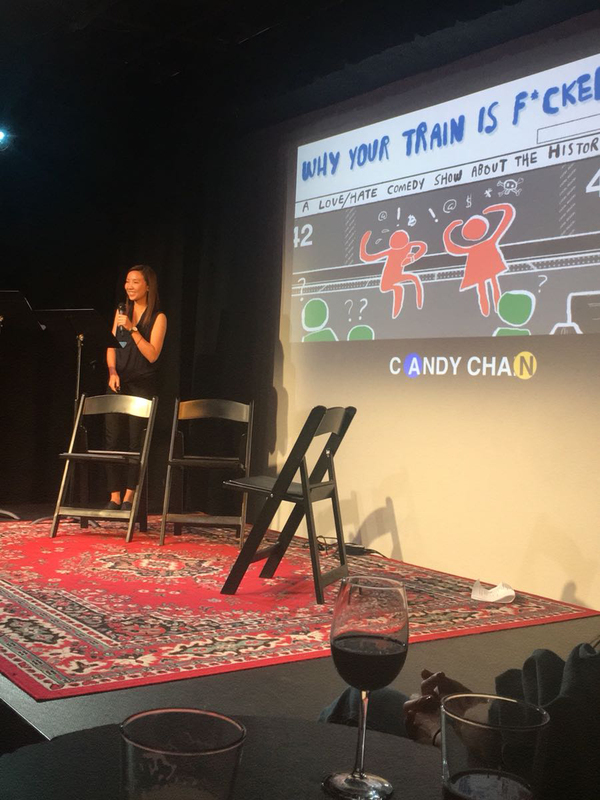 I was so honored to be invited to do a presentation at Caveat back in September, and I had a blast! For those of you who haven’t been, Caveat is a comedy club in the Lower East Side, and is New York’s newest speakeasy stage for playful, intelligent nightlife. They have a series called “Why Your Train is F*cked” and they put on a show every month, where the two hilarious hosts (Meg and Justin) tell you why your train, as the title suggests, is f*cked. Their next show is on Thursday Nov 29 - go check it out! Huge shoutout to Meg and Justin for putting on a fantastic show!